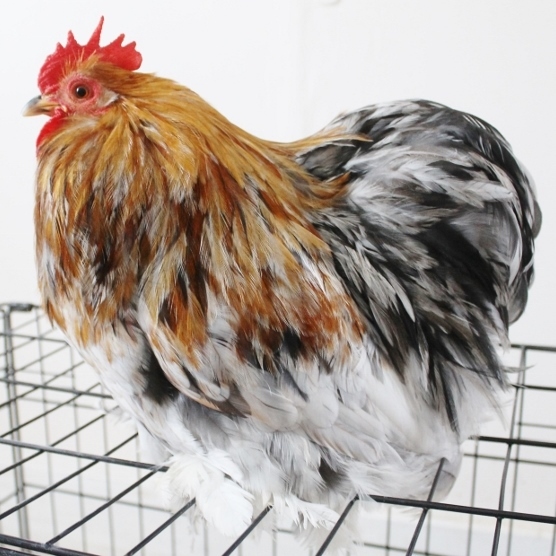 Entries for the Winter 2016 Show will be accepted beginning February 1, 2016. 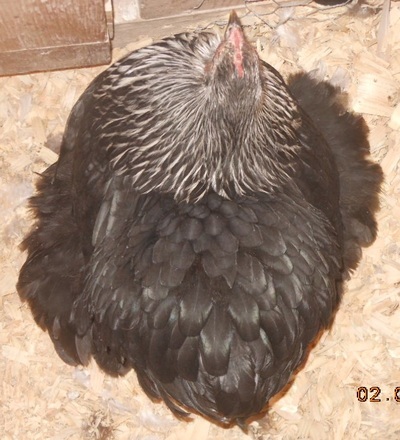 The ENTRY DEADLINE is Midnight, February 7, 2016 for both Entry Form (online) and Photo Submission (email). 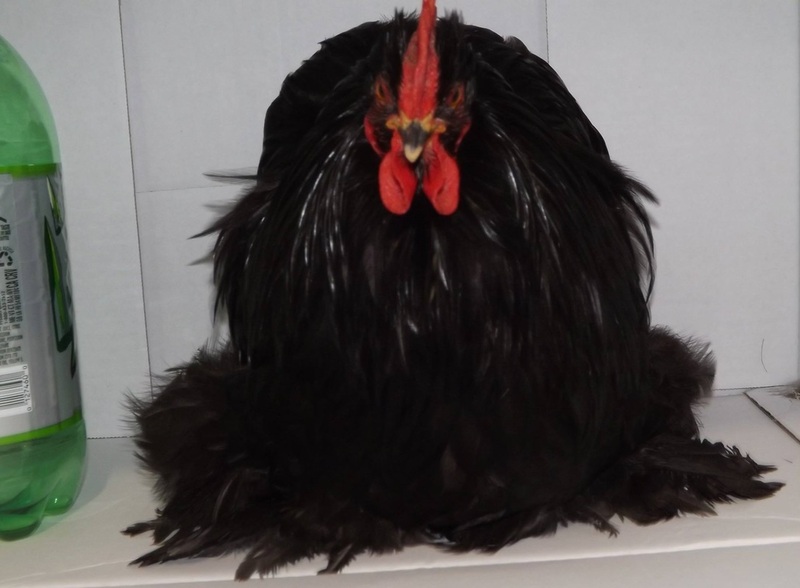 JUDGE for the Winter 2016 Show will be Michael Sayre. 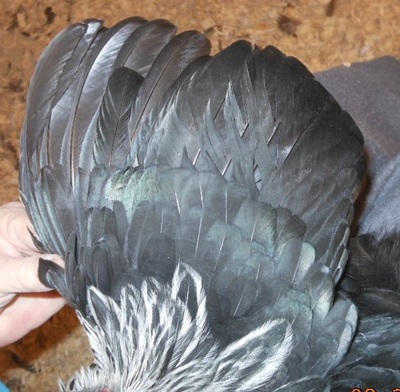 "Fairly good color and nice head but is a tad light in the lobes. 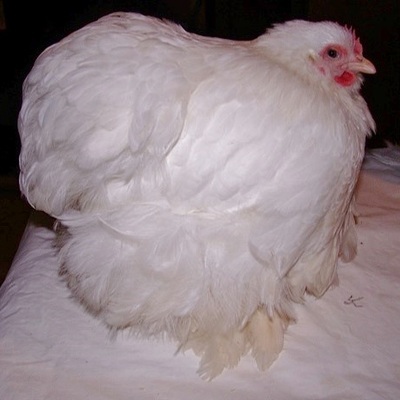 Appears chopped off behind, she is not full enough or round enough in the cushion and fluff." 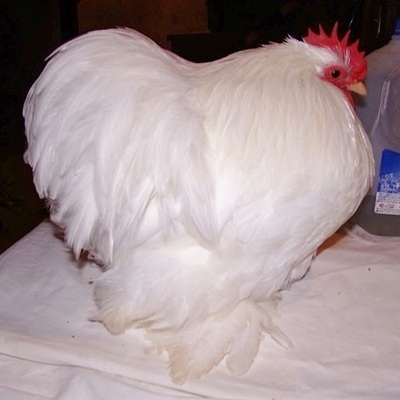 "Overall fairly good type and color from what I can see, he carries his wings a little low and could use more width of body and balance." 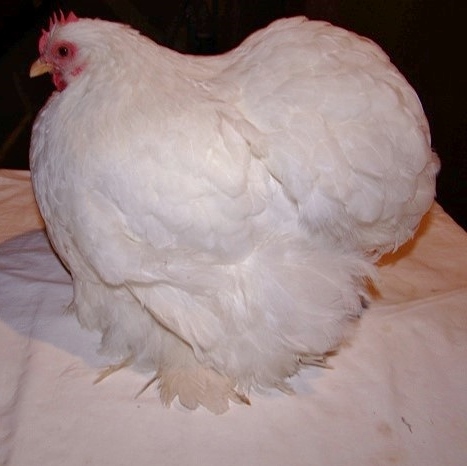 "Well posed but appears "notched" in at the cushion, not as wide or full feathered as the first 2 females. 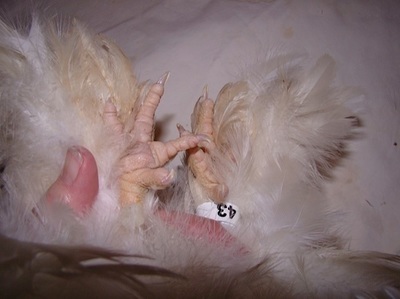 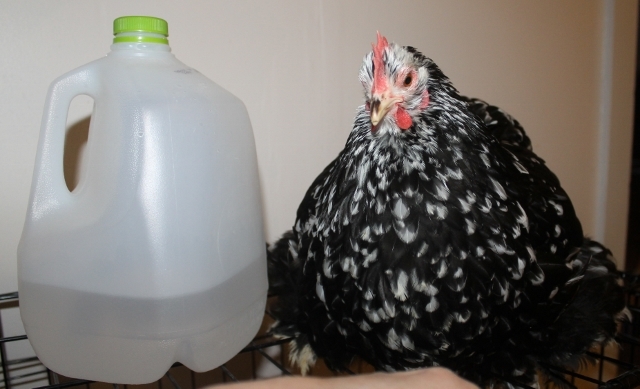 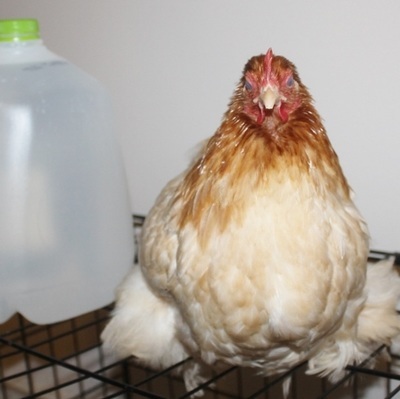 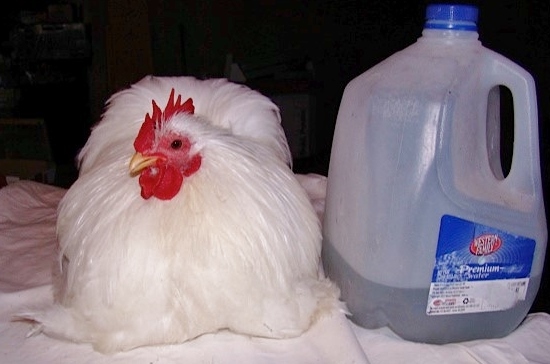 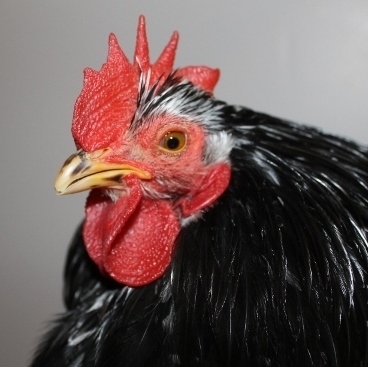 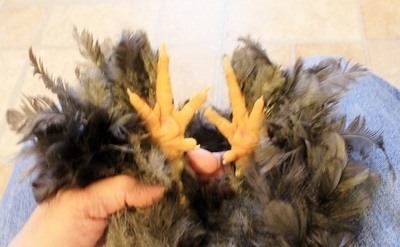 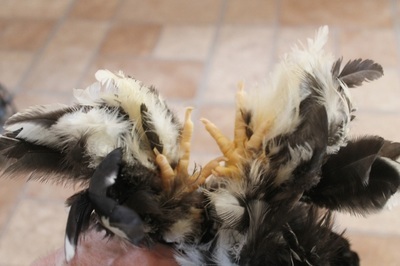 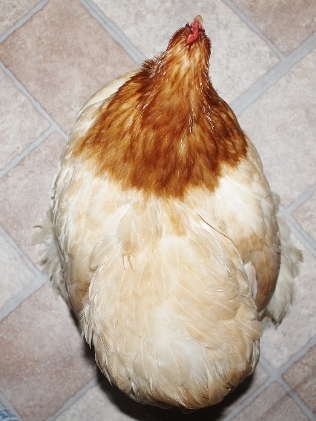 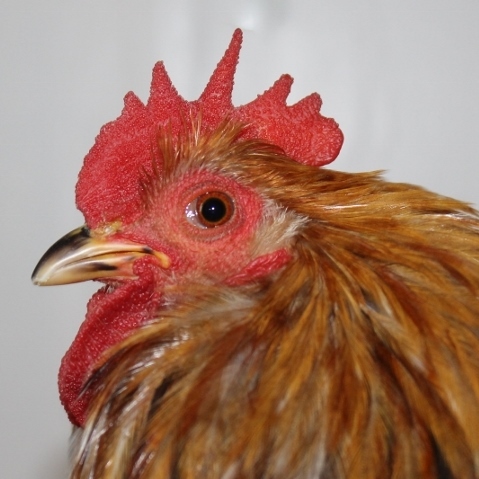 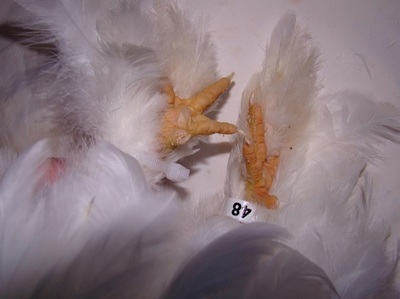 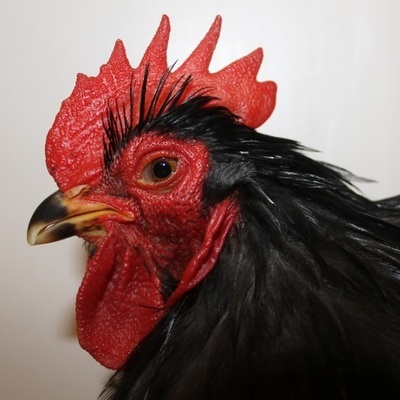 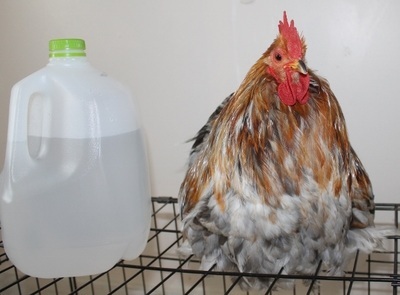 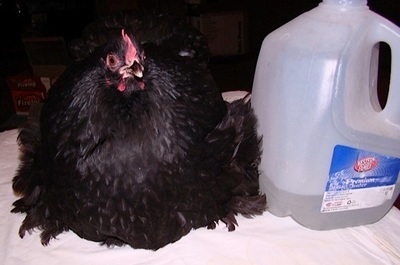 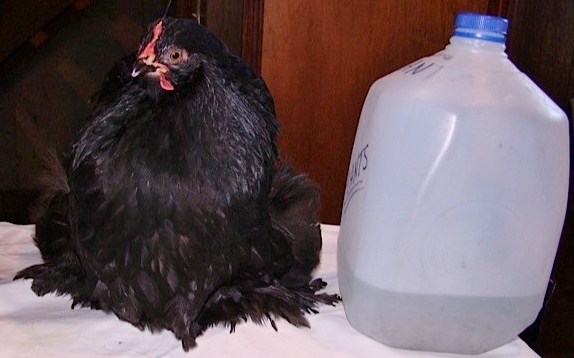 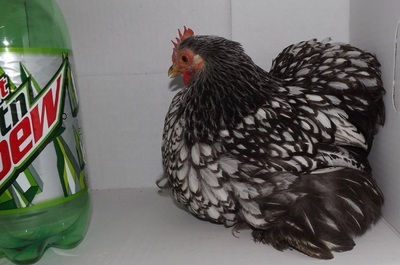 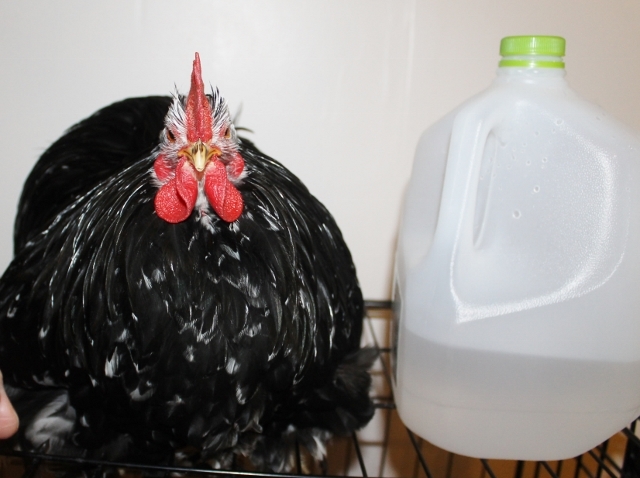 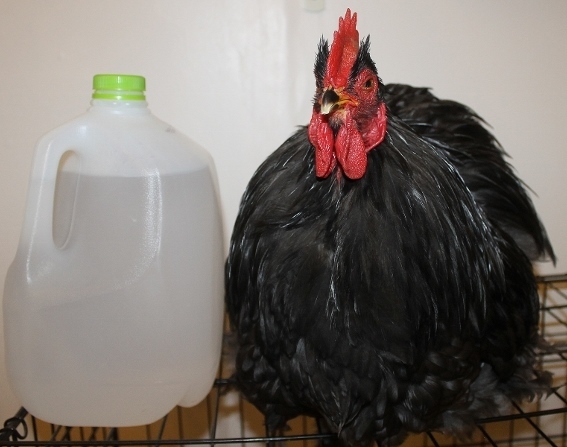 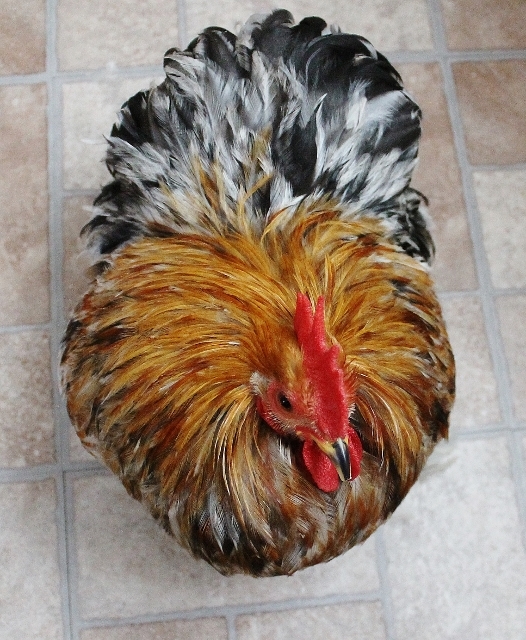 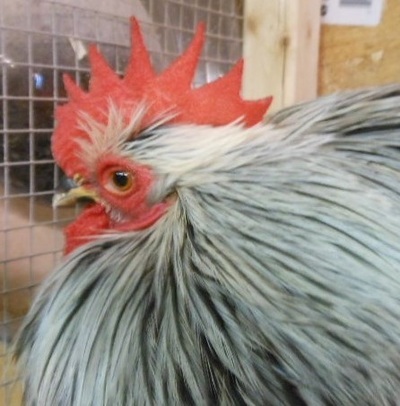 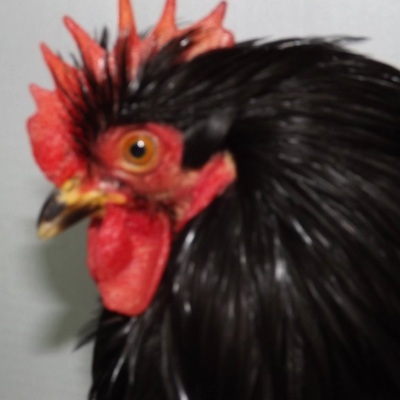 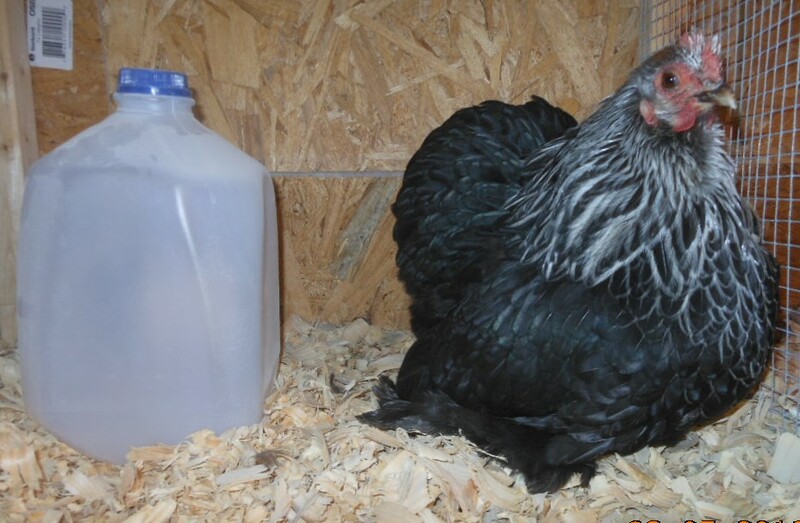 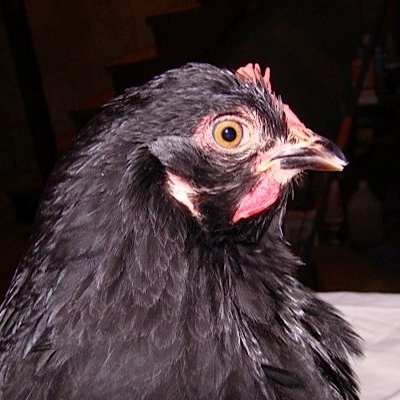 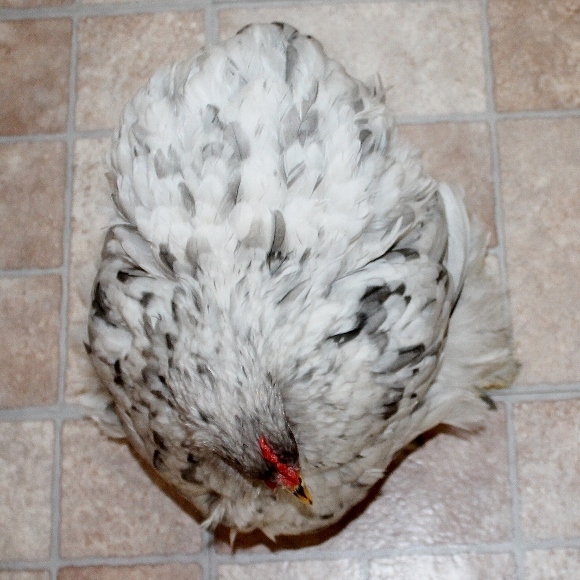 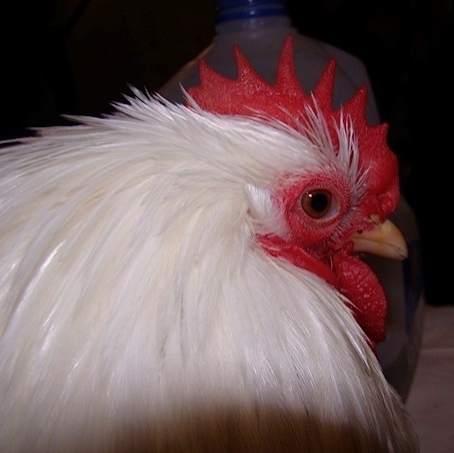 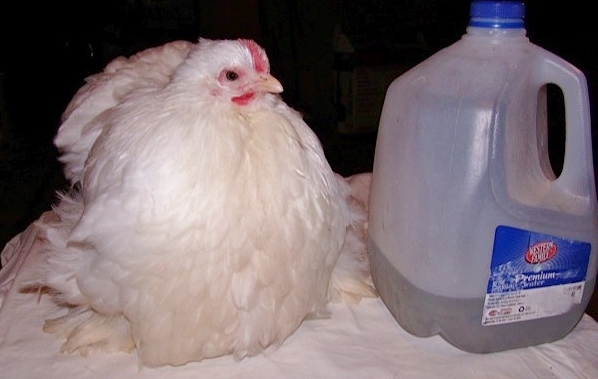 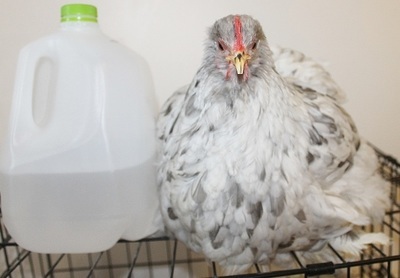 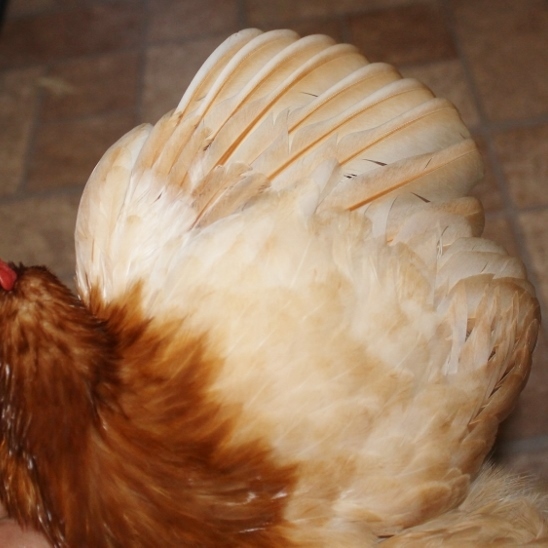 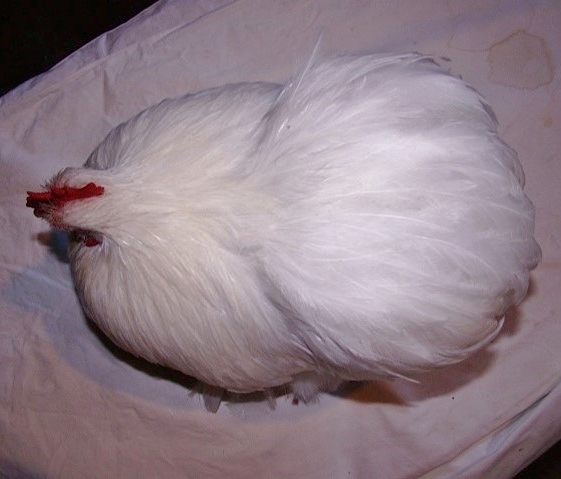 Head and comb are also not up to par as the first pullet." 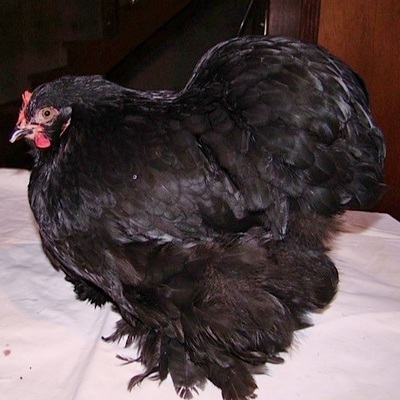 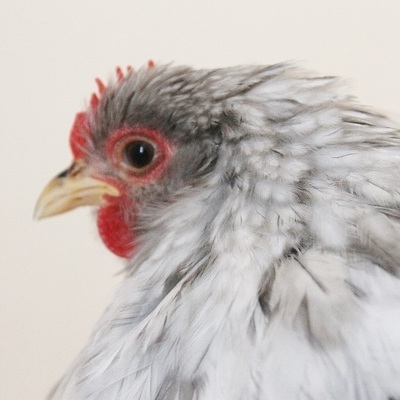 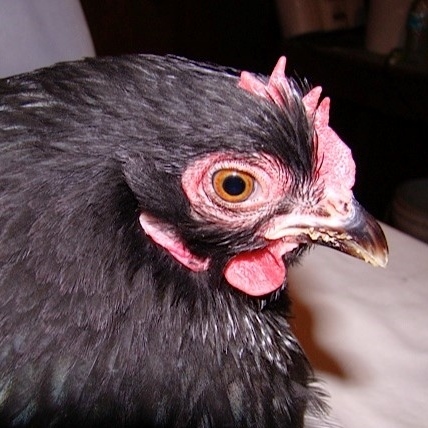 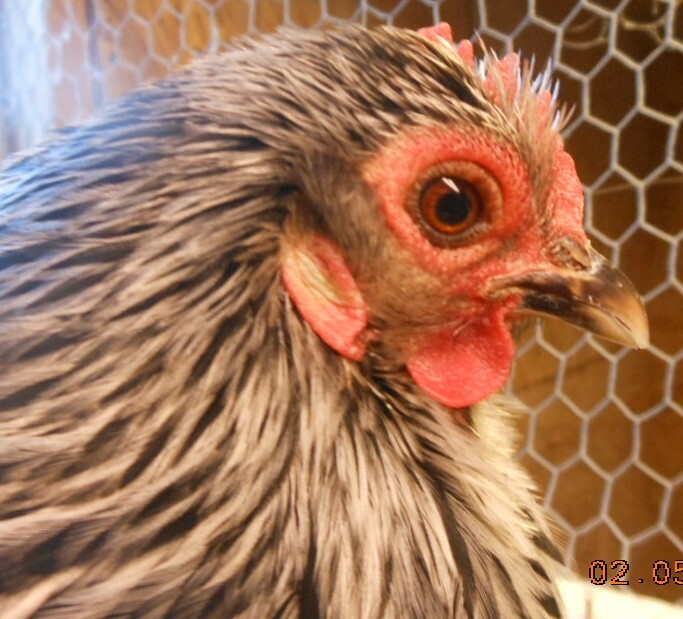 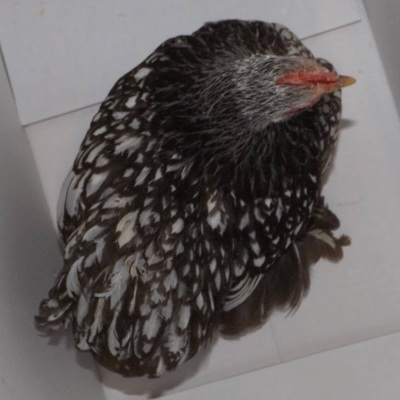 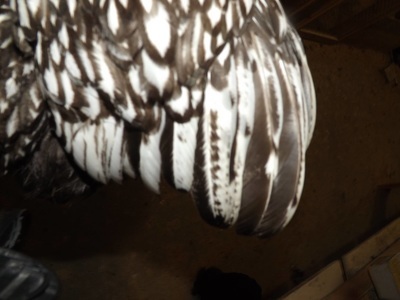 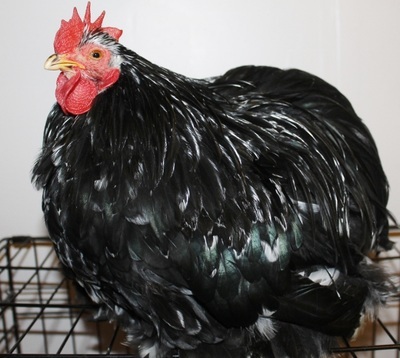 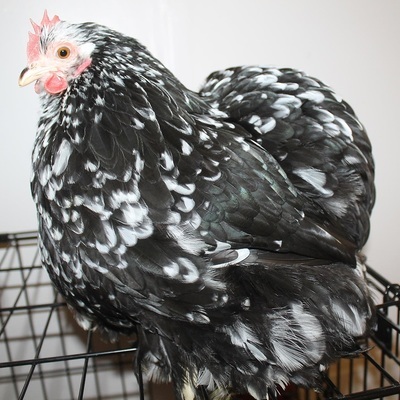 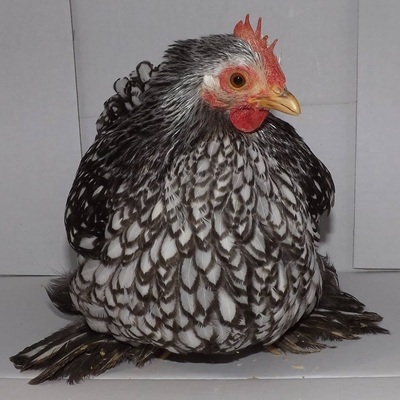 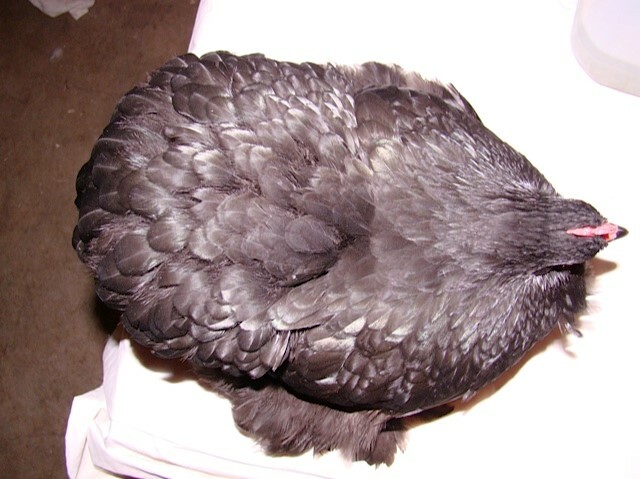 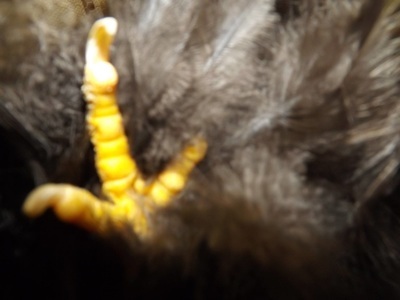 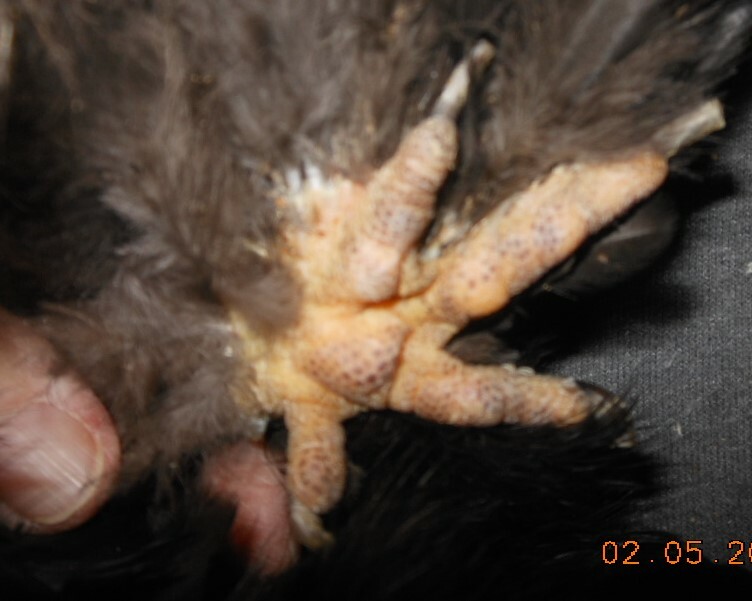 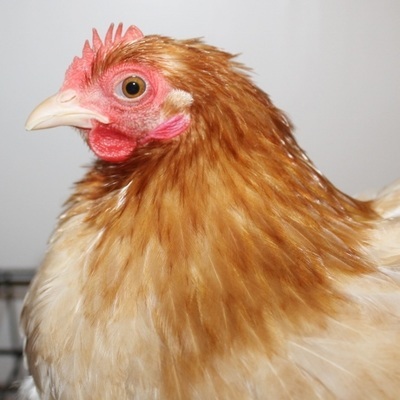 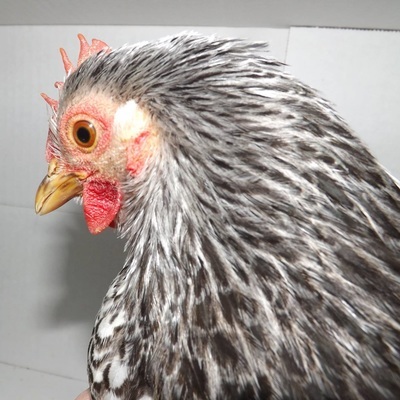 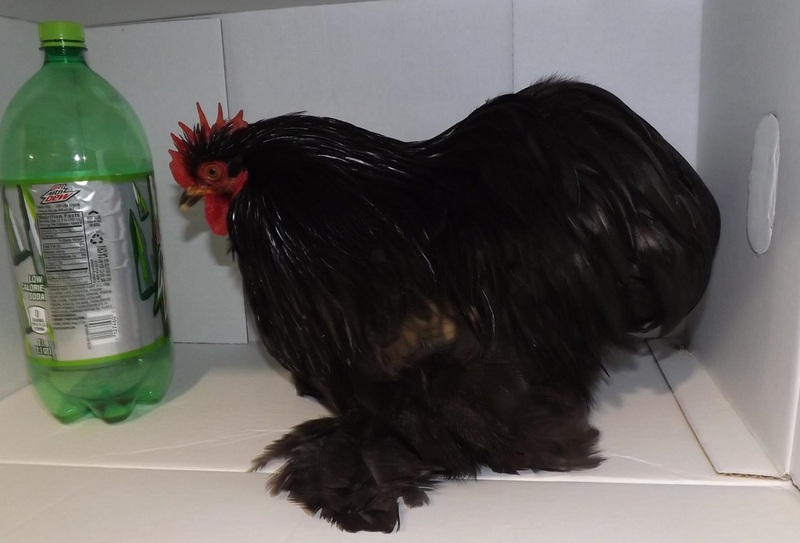 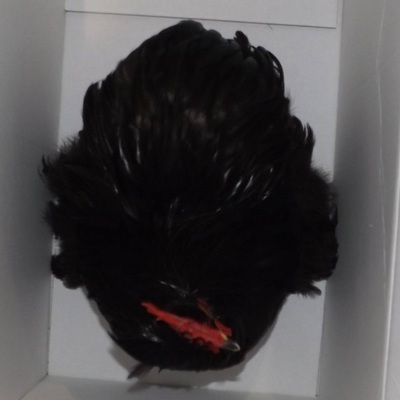 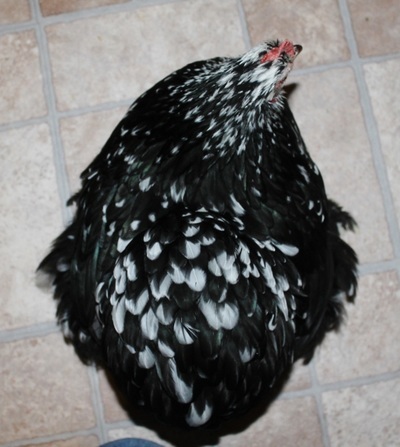 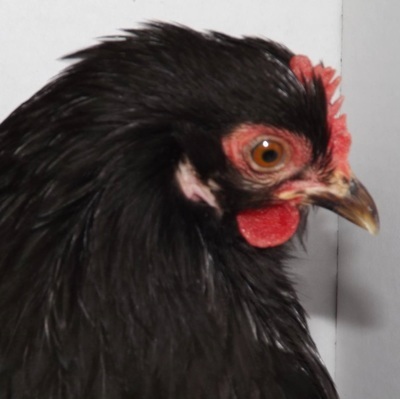 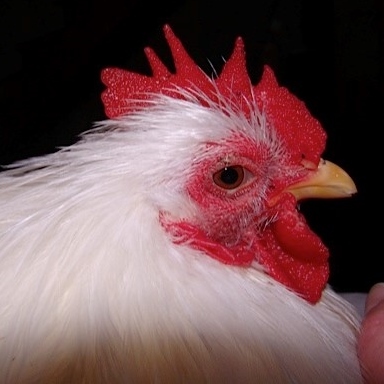 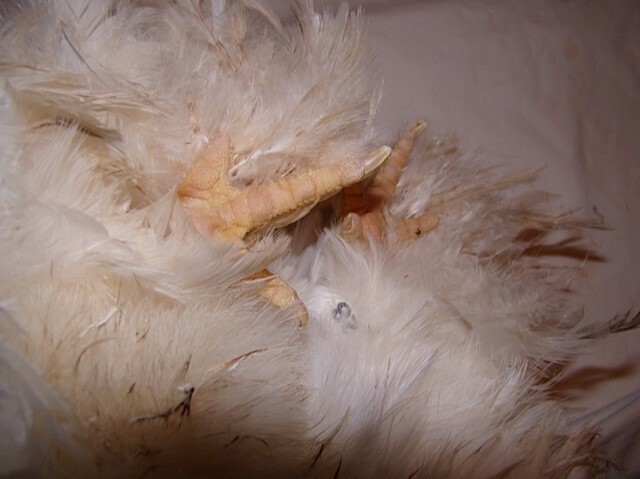 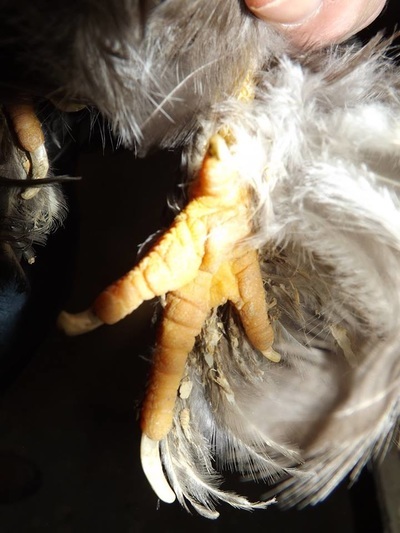 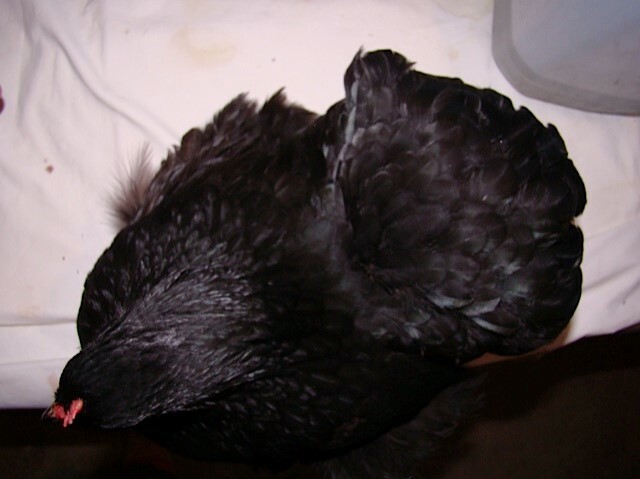 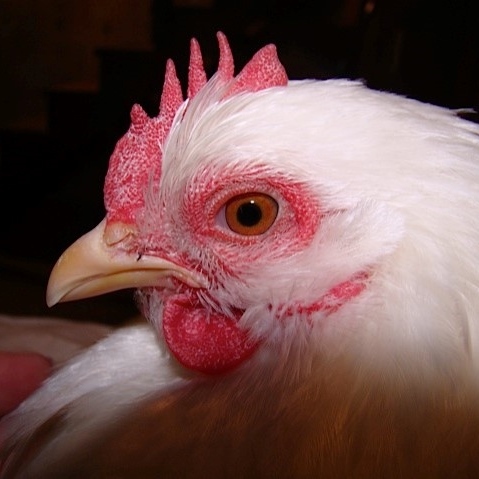 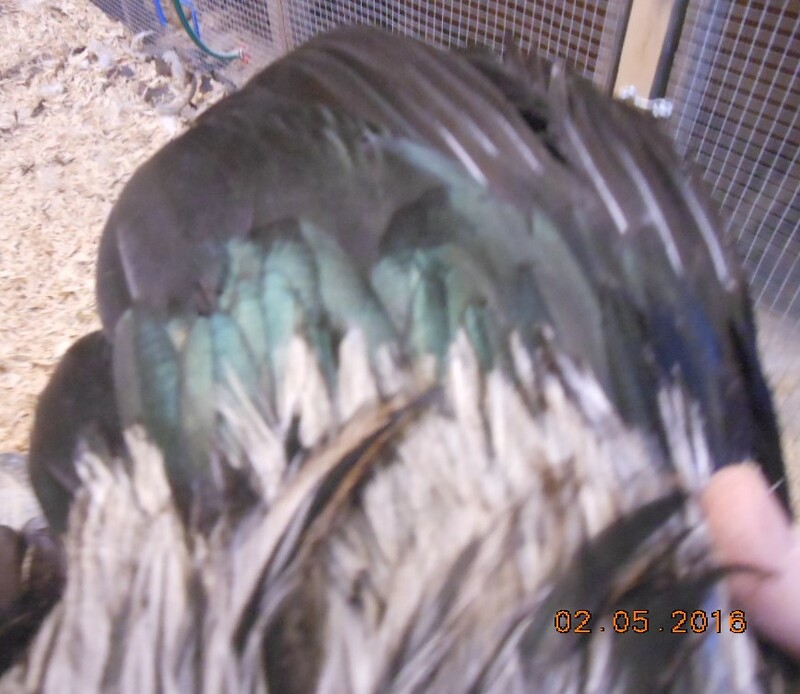 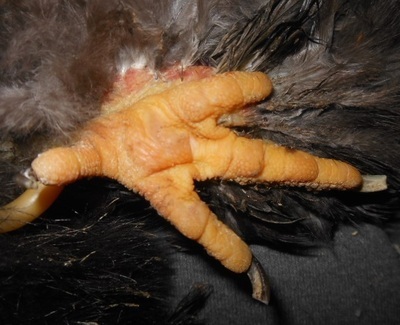 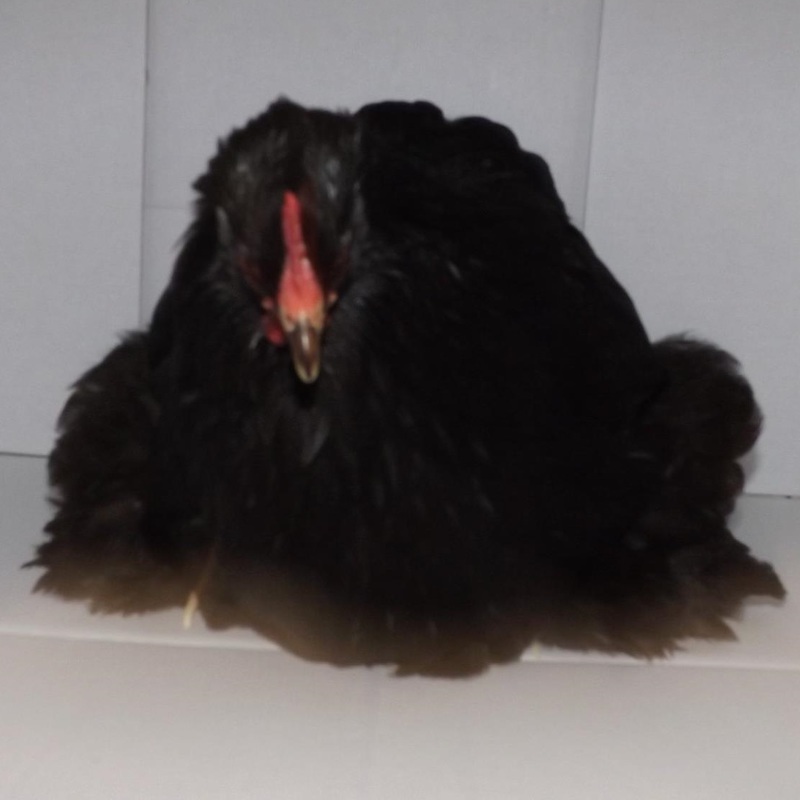 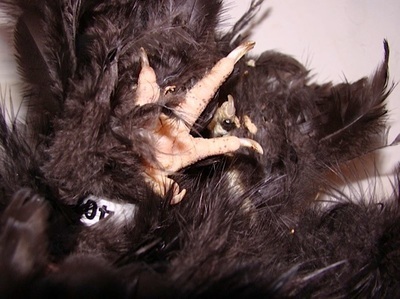 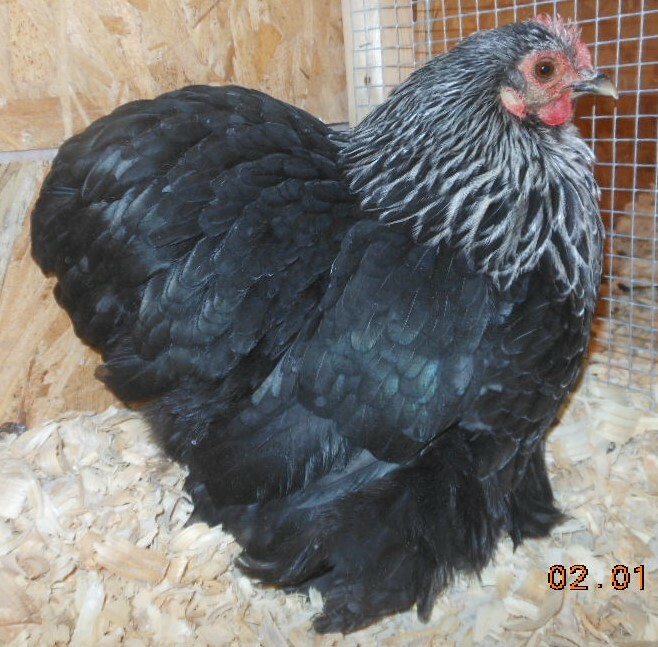 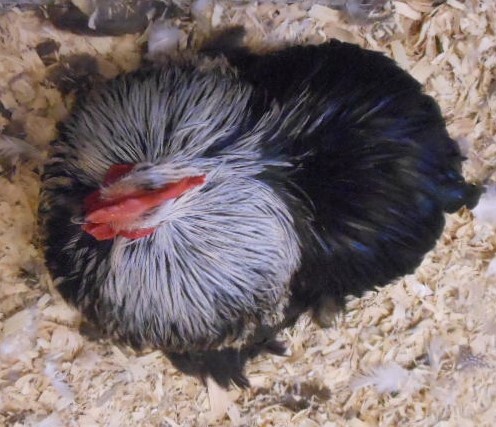 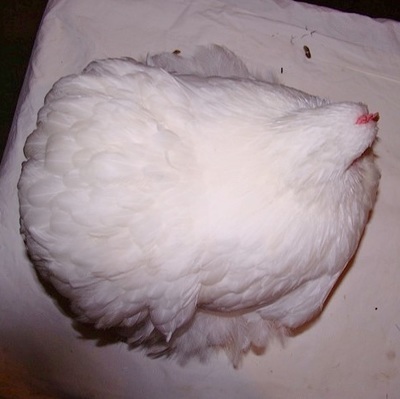 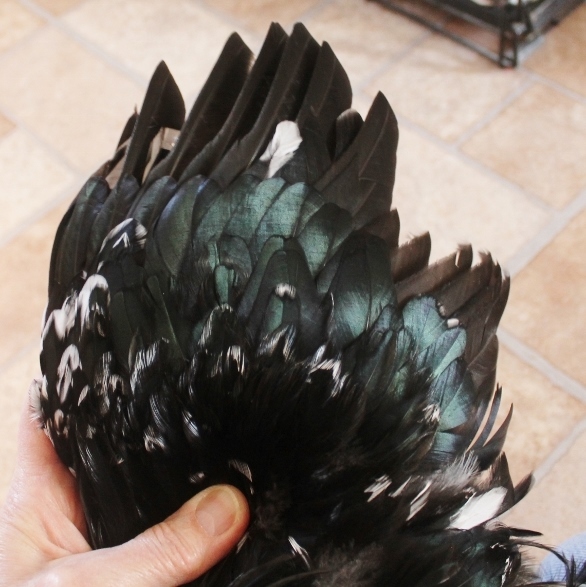 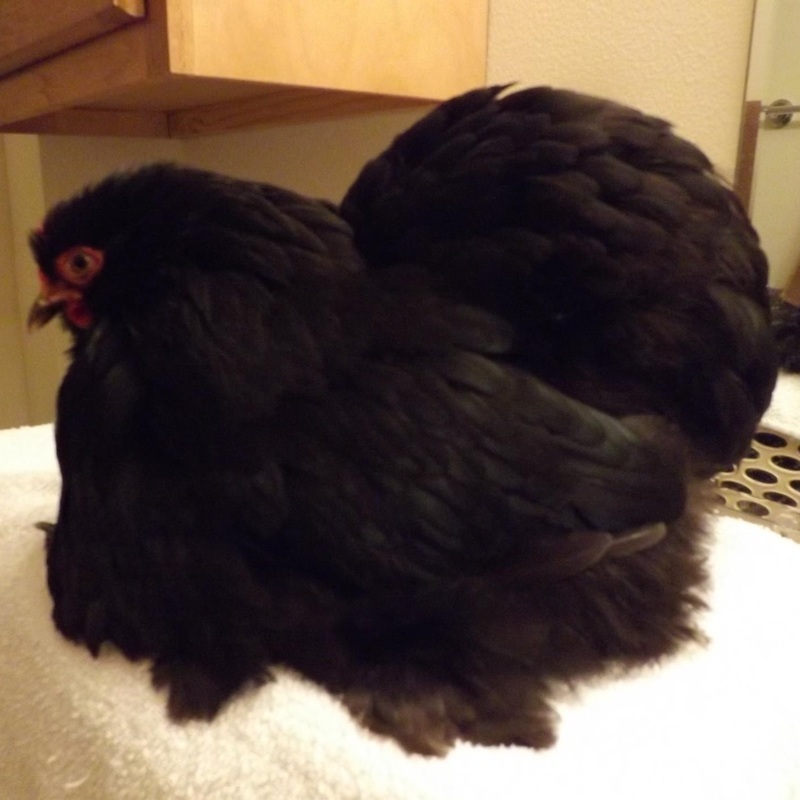 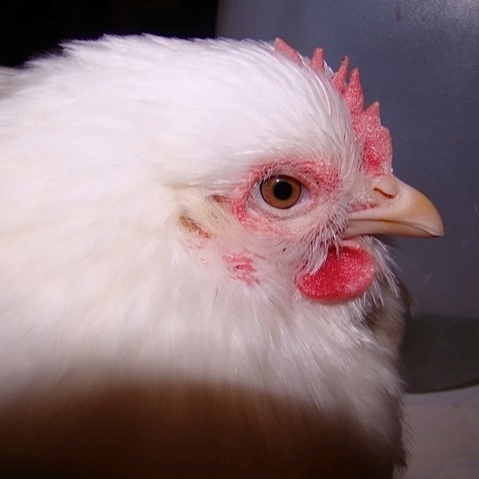 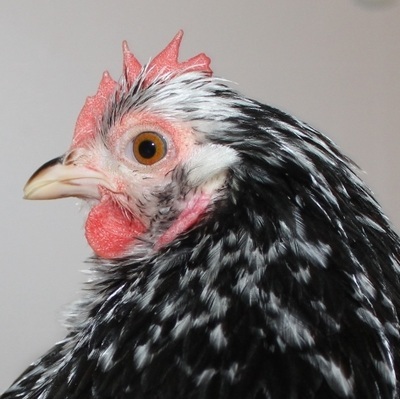 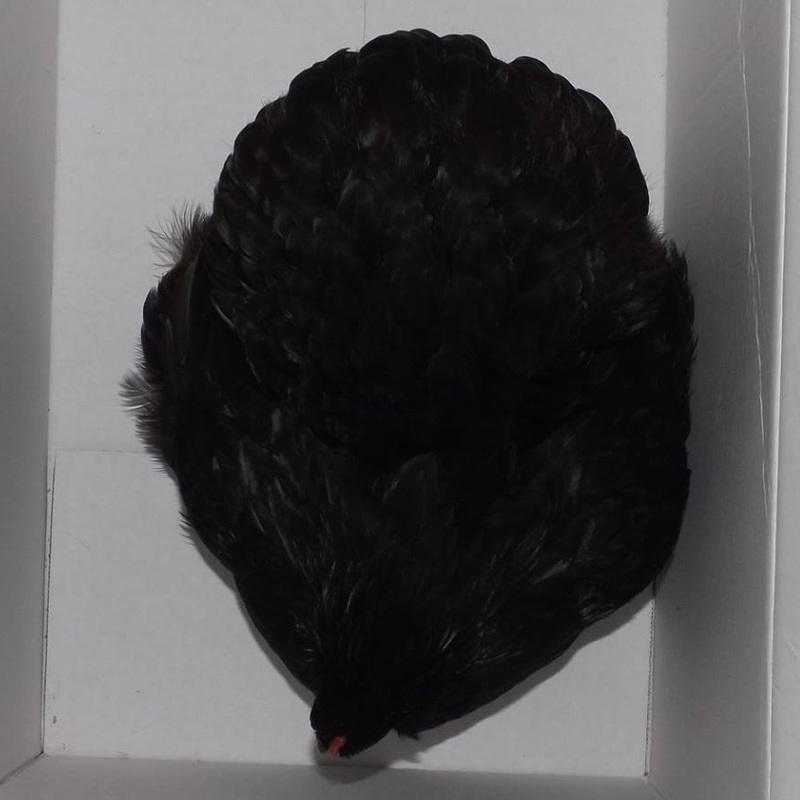 "Nice pullet but not quite in as good of condition as the first pullet but is posed better and has nice wings but her head and comb are not as nice as the 1st pullet." "Very nice female may have been better than the cockerel in real life but in her pose she is way to close to the ground , flat and will not stand up. 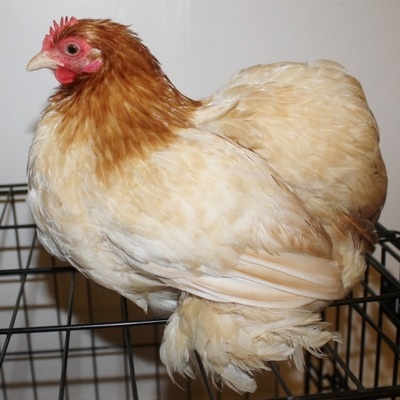 She appears off balance but has a good head although young and light in the lobe. 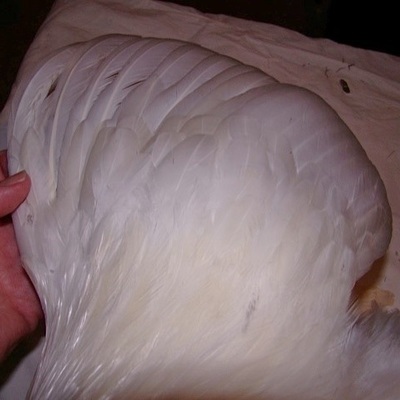 Nice skull width, good width of body and nice wings." 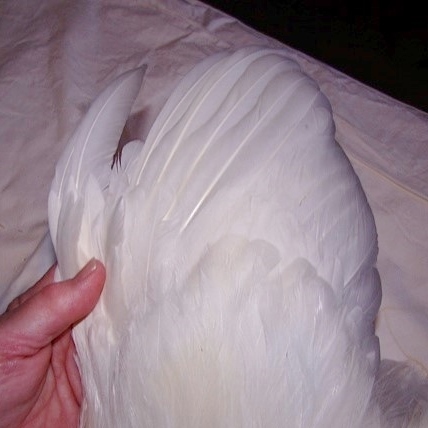 "Nice cochin overall nice width and balance with good wings and feather width. 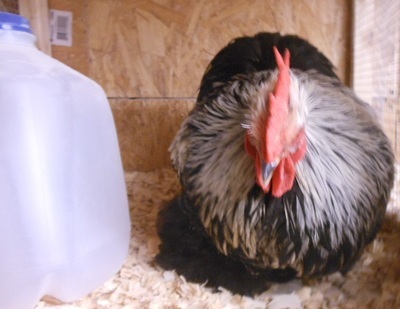 Bad pose does not do him justice." 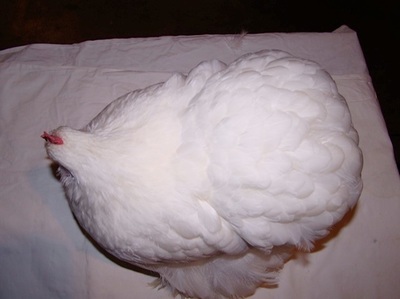 "Only Blue in show, fairly nice cochin although the wings carriage in the picture leaves a lot to be desired. 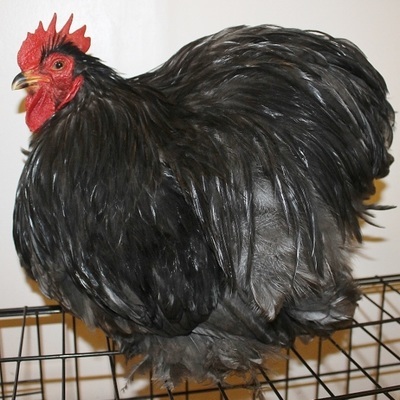 He has pretty good shape and has many color faults." 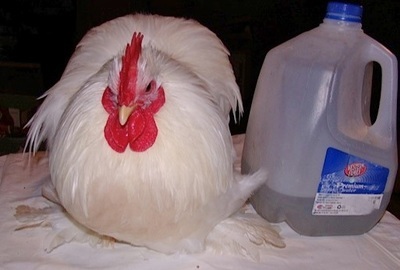 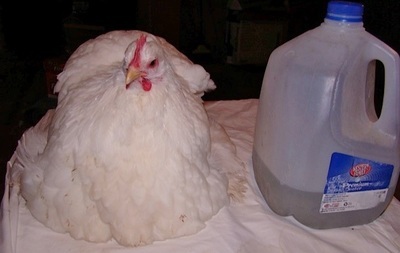 "Not as round or as wide as the Cockerel. 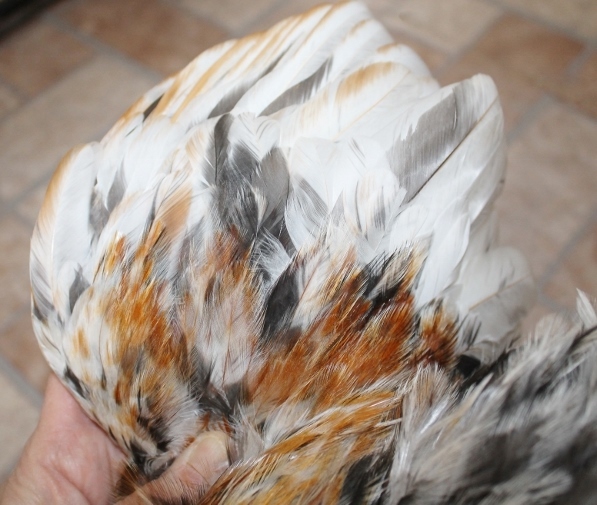 Fairly nice skull and head not as balanced but does have a few properly mottled feathers but lacks overall proper mottling." "Not well posed but appears to be a fairly good cochin type wise. nice skull good overall width and fairly well balanced. As with most Mottled Cochin's he lacks proper mottling." 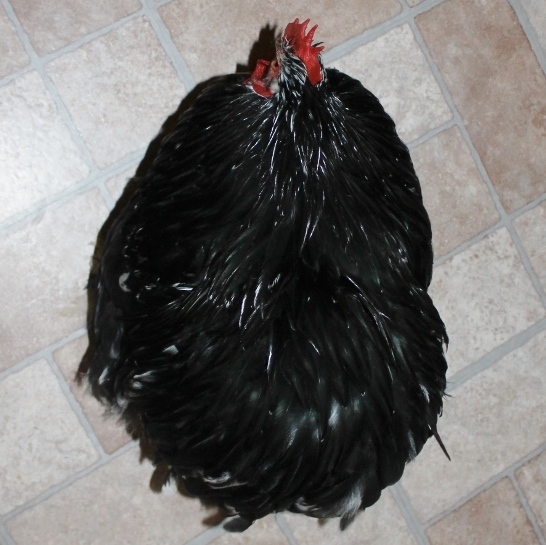 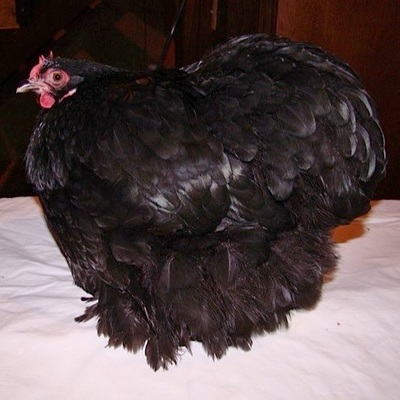 "Not a lot to talk about lacks proper cochin type, width, roundness and overall the massive appearance of a cochin. 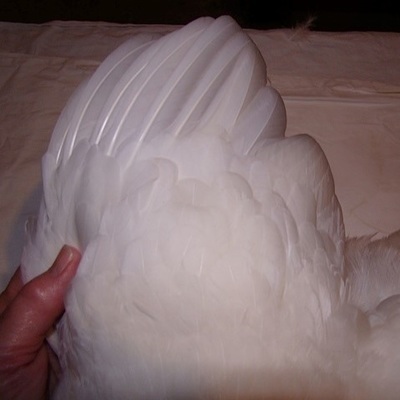 Is laced but lacks proper depth of color in lacing and quality of feather." 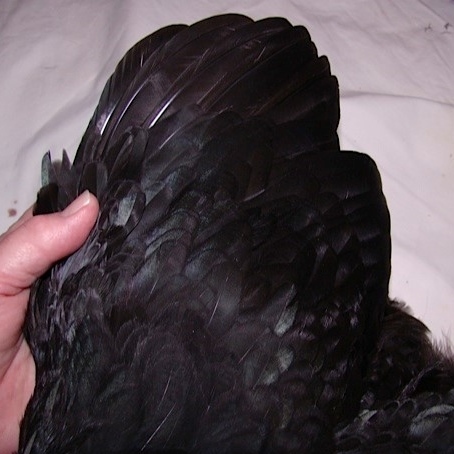 "Fairly nice color and type but not well posed, hard to see her wing folded and where they are carried. 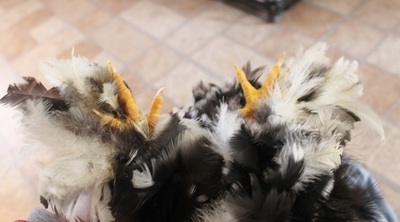 Nice head and skull." 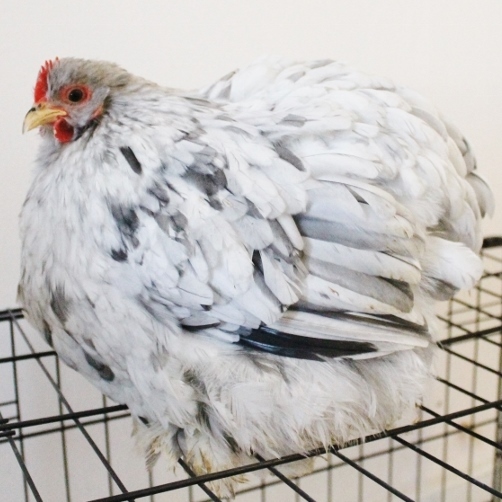 "Nice pullet but not as balanced or finished as the first pullet, Fantastic head and skull though the best of all of the cochin's." 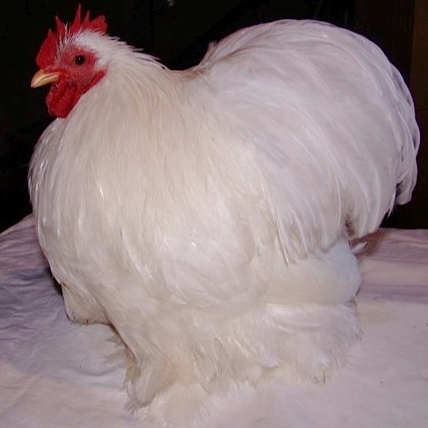 "Beautiful cochin overall! 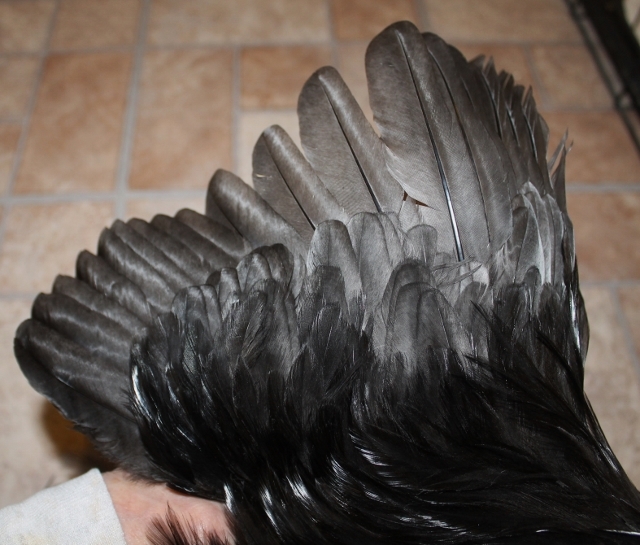 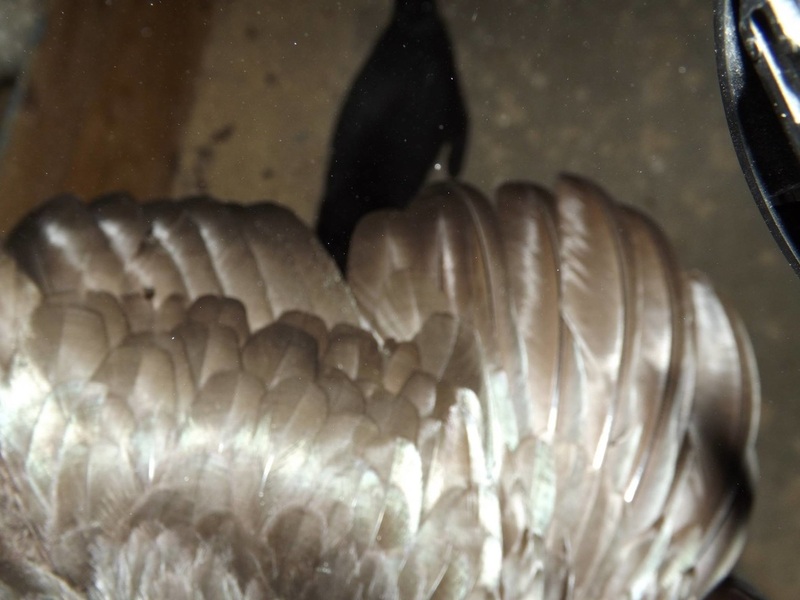 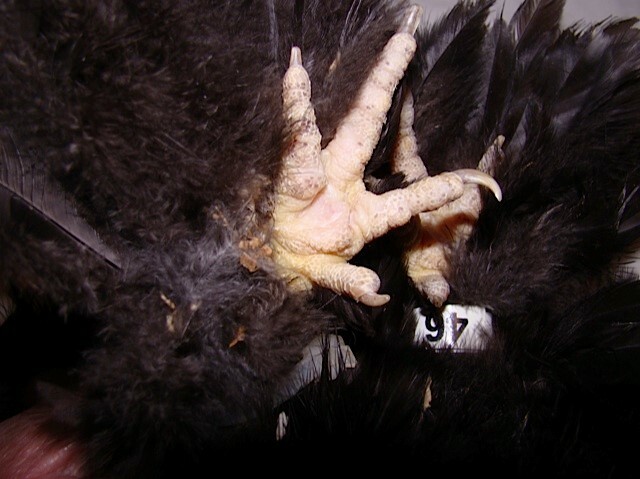 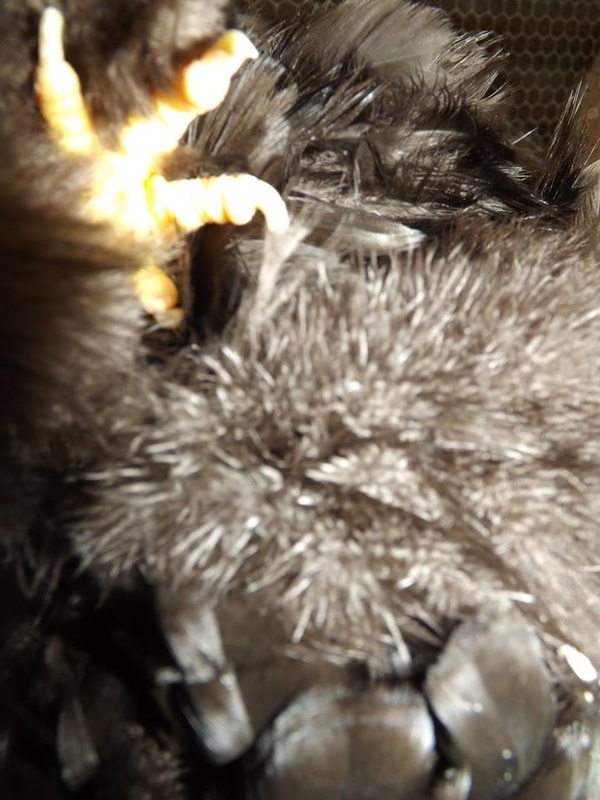 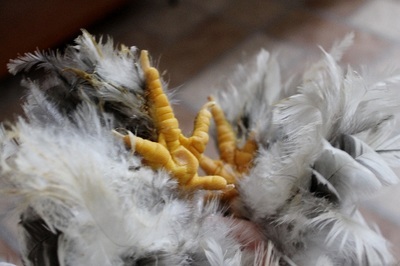 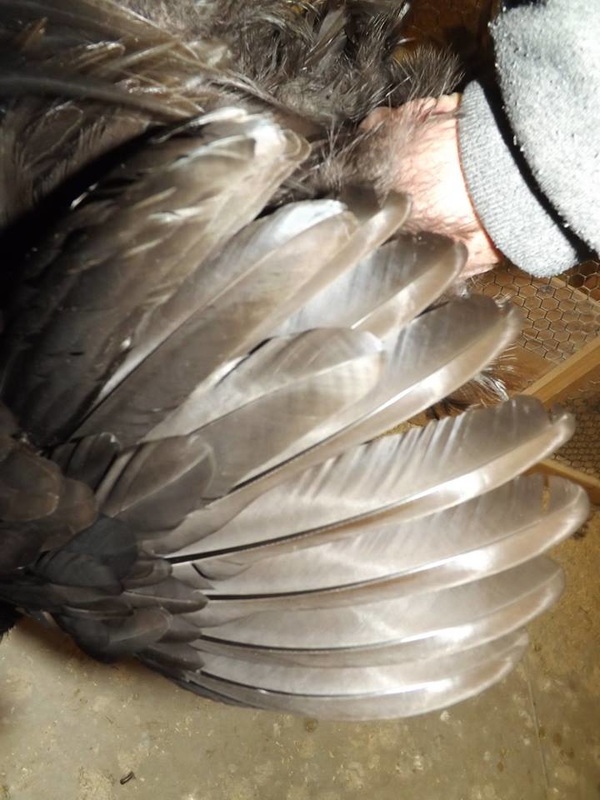 Good depth, width and feather quality and wealth of feather. 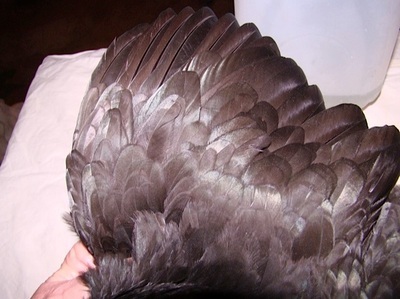 Very nice wings, wide feathers and a wonderful head and skull as well as being very well balanced." 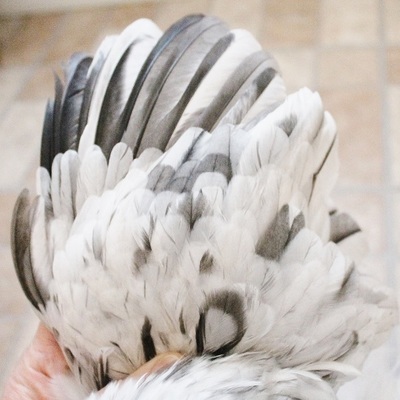 "I really like this male almost as much the first pullet and about all the comments about her apply to him but he is out in one of his wings and is not quite as finished as the Pullet but is by far the 2nd best white." 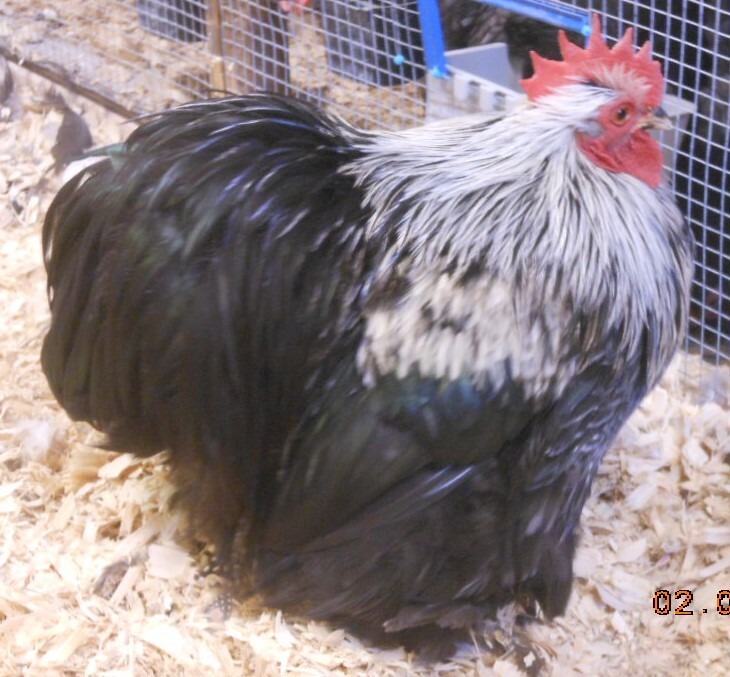 "Not a bad male but not as balanced as the 1st male. 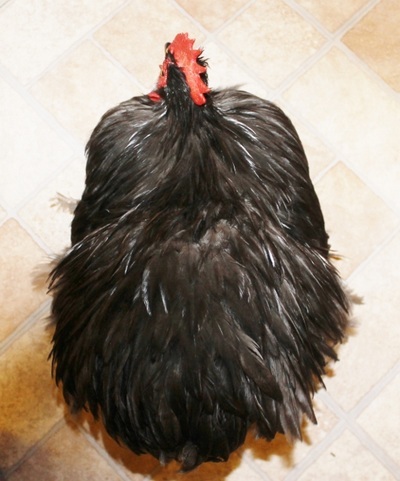 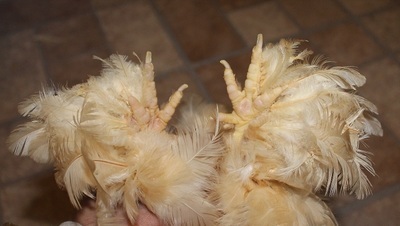 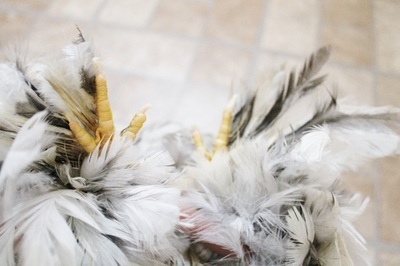 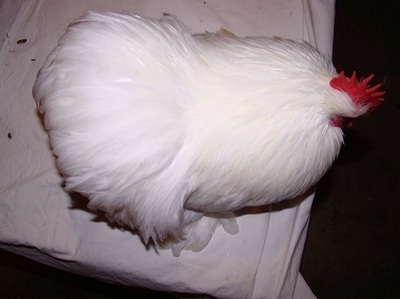 He is a little cut off in the cushion and does not appear as wide nor as balanced as the 1st cockerel." "Nice feather width, needs more balance, width and overall cochin feather and type." 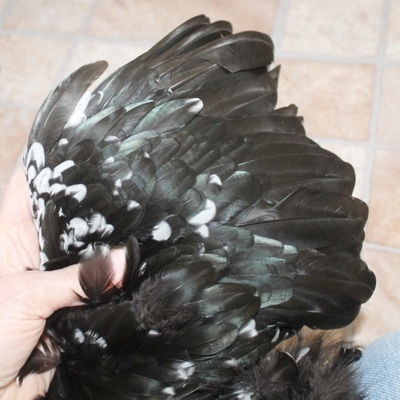 "Pretty nice color maybe a tad light but nice and even, needs more width and overall cochin type and feather."